Clyde Leonard McFarlin left this Earth on February 7, 2018. He was born on April 3, 1937 on Gammon Ranch near Fondis, Colorado. He spent his childhood with his parents, Jessie Opal and Harry McFarlin, along with his sister, Ramona and brothers, Lloyd and Gary on a farm near Ellicott. He loved spending time with his siblings, playing sports, and enjoying the outdoor life that the farm offered. He graduated from Ellicott High School and started working in the automotive industry in Colorado Springs. His love for automobiles and racing beckoned him to race open wheel Champ cars up Pikes Peak over a ten year period. In the late 1960’s, he followed his passion of outdoors to the Aspen area where he moved his family and was in the automotive/machine business for 30 years. He was also a snowmobile dealer for several years in Aspen. 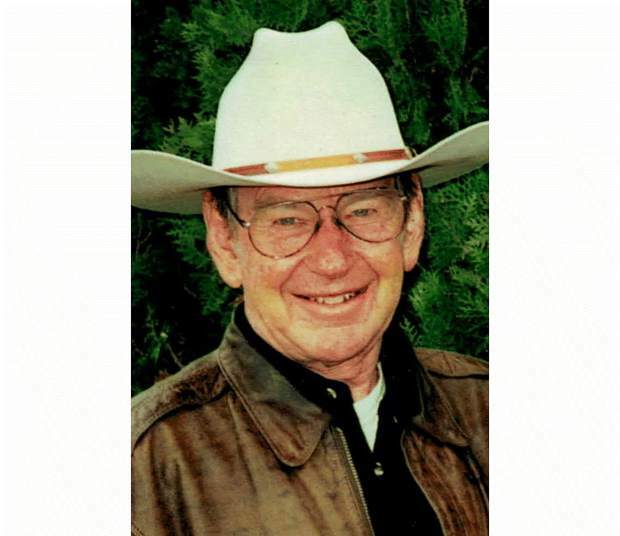 After retiring, he moved to a small ranch near Durango where he was able to enjoy his time ranching, mowing hay, and long horseback rides through the Weminuche Wilderness. His greatest enjoyment in life is the love of the mountains. He spent endless hours pursuing his passions of backpacking, elk hunting, camping, dirt biking, river rafting, fishing, long distance running, bicycling, and mountain climbing. His passions during the winter months included skiing, snowmobiling, and back country snowshoeing. He loved spending time in the desert, and would often go on long horseback excursions through primitive and isolated areas throughout the west. He was a gifted story teller and able to help us live his adventures through his imaginative, exciting, and adventurous journeys. His love for creating, designing, and fabricating allowed him to build everything including hand-built race cars, snowmobiles, hot rods, antique care restoration, gunsmithing of primitive firearms from scratch, and an infamous BBQ from a V-8 automotive engine!! Clyde is always loved and in our hearts. He is survived by his family: Carol, Shannon, Wes, Bryan, Nancy, Chad, Stephanie, Kendell, Nolan, Payton, Ryan, Josh, Matt and family, Jama and family; his siblings, Ramona Richards and family, Gary McFarlin and family, and beloved extended family, nieces, and nephews. Throughout his life, his impact on family, friends, and community is immeasurable. In lieu of flowers, we ask that donations be made to The Rocky Mountain Elk Foundation http://www.rmef.org. A private family memorial will be held at a later date.